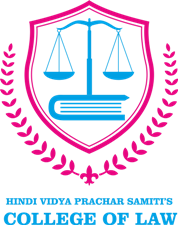 The criterion for admission into HVPS Law College, Mumbai is the Common Entrance Test (CET) conducted by the Directorate of Higher Education, Maharashtra State from the year 2016 onwards. The CET Examination dates for the 3-year LLB course and the 5-year B.L.S./LLB course will be decided by the CET cell which can be confirmed by the students on CET website ( www.mahacet.org/cetcell/) preceding the academic year to which they seek admission. The percentage scored in the HSC/CBSE/State Board Examinations will not continue to be the criterion for admission into HVPS Law College, Mumbai. The Candidate must have passed the H.S.C (10+2) examination, conducted by the Maharashtra State Board of Secondary and Higher Secondary Education, with minimum 45% marks or any other examination recognized as equivalent thereto by the University of Mumbai with the minimum prescribed marks is eligible for admission to the first year of the pre law course. Admission is given strictly on merit list provided by the DHE and CET cell. The Primary Requisite for admission in the Three Year Law Course will be a non zero CET score. A Candidate passing the Bachelor’s Degree Examination of the Mumbai University, in any faculty with minimum 45% marks or a corresponding degree examination of any other University recognized as equivalent thereto by the Mumbai University with the minimum prescribed marks is eligible for admission to the First Year L.L.B.